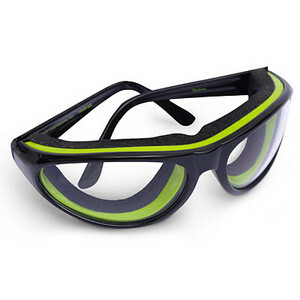 Here at Coolest Gadgets we have reported on camera goggles, night vision goggles and even beer goggles, so today I thought I would introduce you to Onion Goggles, made specifically to help keep the tears away while preparing dinner. I often wonder who cut up the first onion, had a horrendous tear jerking reaction and decided to eat the darn things anyway, but I guess I’m glad they did. Your tears are caused by irratating compounds being released when the cells of the onion are damaged by the blade of your knife. The tears that follow are released when your body attempts to dilute the stinging chemical. It doesn’t matter what season it is, I am either too hot or too cold. I don’t know what causes it but for some reason 72 degrees feels just right in the winter time, but come summer, its too darn hot. Of course the only reason we don’t just set the thermostat to whatever feels good at the moment is because its just so darn expensive, plus you need a full time person in charge of setting and changing the darn thing, so I am constantly in a t-shirt with a sweater at the ready. 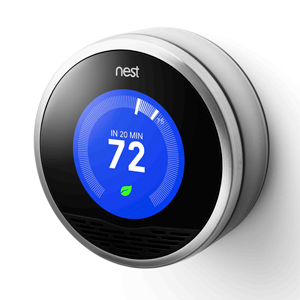 Well, a new gadget, called The Nest is hoping to change all that for you. The Nest has a simple enough dial that allows you to select a comfortable temperature, but thats about the only thing traditional about it, because after around 7 days The Nest starts tuning your homes temperature all by itself. 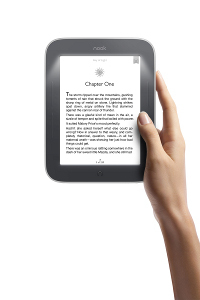 Its sensors know if you are up and about, if you are not it switches to night or away mode. The name iHome often conjures up iPod and iPhone docks as well as iOS-powered speaker systems for me most of the time, and I am not quite sure whether the same applies to you or not. Well, this time around, iHome’s latest release that they call the iHome iDM5 Executive Work Station has every intention to make tablets as well as Bluetooth-enabled smartphones all the more functional, where it comes with a rather compact footprint so that no additional clutter is added to your work area. 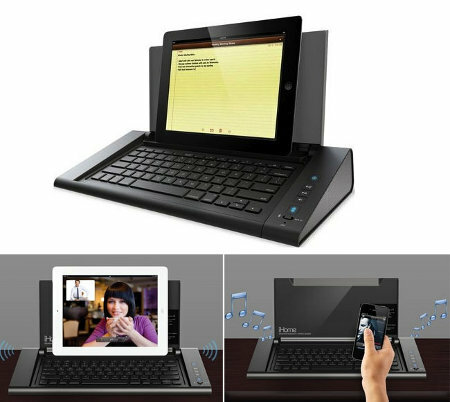 Not only that, there is also a full size QWERTY keyboard to keep company the built-in speakers, where other hardware specifications include a microphone and a couple of USB ports that allows you to juice up two power thirsty devices simultaneously. Those who have long grappled with a sense of lack of space and want to get more organized at work will definitely do well to take a closer look at the iHome iDM5 Executive Work Station. LG continues their march forward to LTE smartphone dominance (although other parties might disagree with that considering the paltry number of releases to date) with the release of their latest model, the Optimus True HD LTE. 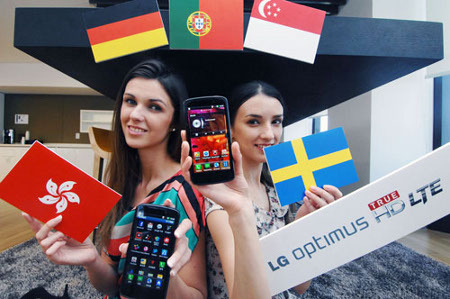 This particular smartphone will see action in the following countries – Germany, Portugal, Sweden, Hong Kong and Singapore. Originally having rolled out in Korea (the South, obviously), and is now available in Japan, Canada and the US, the LG Optimus True HD LTE will be LG’s flagship LTE powered device. This particular handset has been specially recognized for its HD multimedia capabilities as well as stunning 4.5″ 1280 x 720 (16:9 ratio) True HD IPS display which will certainly be a pleasant surprise to your eyes. To make sure that you will not suffer from lag of any form with the LG Optimus True HD LTE whenever you want to run a program or game, there is a 1.5GHZ dual-core processor underneath the hood that ought to be able to get the job done. Apart from that, it will also be capable of snapping some rather great looking images with its 8-megapixel camera, paving the way for a truly best-in-class user experience. Do we ever think about the tragedies that we narrowly escape everyday? Do we lie in bed at night and realize what could have been, and say “Thank you” for every unspeakable horror that we somehow avoided. I do, and today I actually know one disaster I was cosmically saved from. My daughter put an unprotected banana in her backpack, with her textbooks, her iPad and her brand new gym sneakers. Gasp! It was luck that saved me this time, but I wont leave it to chance again, as now I know about… The Banana Bunker! A Company called Cultured Containers developed the Banana Bunker to protect your luscious fruit from smooshing and bruising when carried for lunch or snack, of course if you’ve ever had the misfortune of a squished banana in your purse, backpack or briefcase you already know that the loss of the banana was the least of the problem. Could any more people end up missing? I cant even open a paper, watch the news or check my e-mails without hearing yet another tragic story of somebody’s loved one disappearing. As a mom its particularly scary. You would think with all of our satellites and GPS devices there would be something out there that’s better than what were doing now. What could it be? Someone seems to be thinking in a better direction, check out Safe Snapp, these folks are just released one of the more innovative self-defense tools on the market made especially for your iPhone. This unique mobile app, or the fact that an app like it actually exists, might just be enough of a deterrent to save some lives. Heres the deal, SafeSnapp provides iPhone users with the ability to place not only themselves, but a would-be attacker at the exact time and location before an attack can happen.